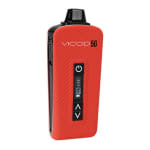 The Atmos Vicod 5G 2nd Generation Dry Herb Vaporizer is sleek and comfortably fits in the palm of your hand. 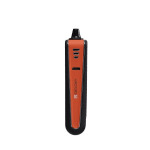 It's intelligent OLED display and advanced temperature settings, offers a range between 300˚F and 435˚F. 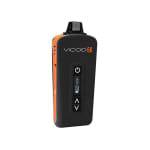 The Atmos Vicod 5G 2nd Generation is one of the most compact and discreet vaporizers available. It fits in the palm of your hand and is really easy to use. Its intelligent OLED display is brighter than the first generation Vicod 5G and advanced temperature setting, ranging from 300˚F - 435˚F, lets users experience the power of a high-quality vaporizer in a convenient and sleek package, while its 2200mAh built-in battery keeps it performing throughout the day. The device is also equipped with a temperature memory function, so it automatically begins heating to the last temperature selected. 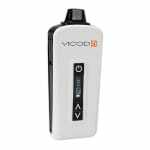 The Vicod 5G 2nd Generation includes a new waxy cup, giving you the option to vape wax consistency products as well! Its reinforced structure and rubberized housing provide a more durable heat-resistant finish and comfortable grip. 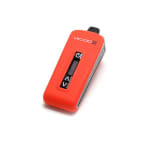 The Vicod 5G's sleek and simple interface makes it one of the most advanced electronic herbal vape kits available, it truly is the ultimate combination of elegance and innovation. 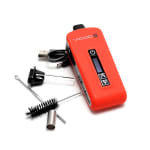 This vaporizer uses conduction to heat and vaporize your oils and dry herbs. 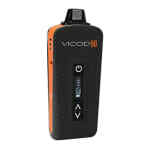 Great little vaporizer! Doesn't burn your herb, comes with great accessories, easy to use, and just an all around enjoyable machine. As a first time buyer for a vaporizer, this was the perfect choice. Just like everything about it, compact , works good, Love the display especially the Temp. The same every time. 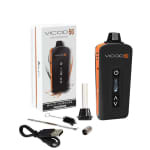 i like that the vicod is smaller than the traditional dry herb vape. i love the ramp up time and the fact that it's multi-purpose. as result of using it so often i do find myself having to charge the device frequently, along with the fact that i find the chamber to be a little hard for cleaning . 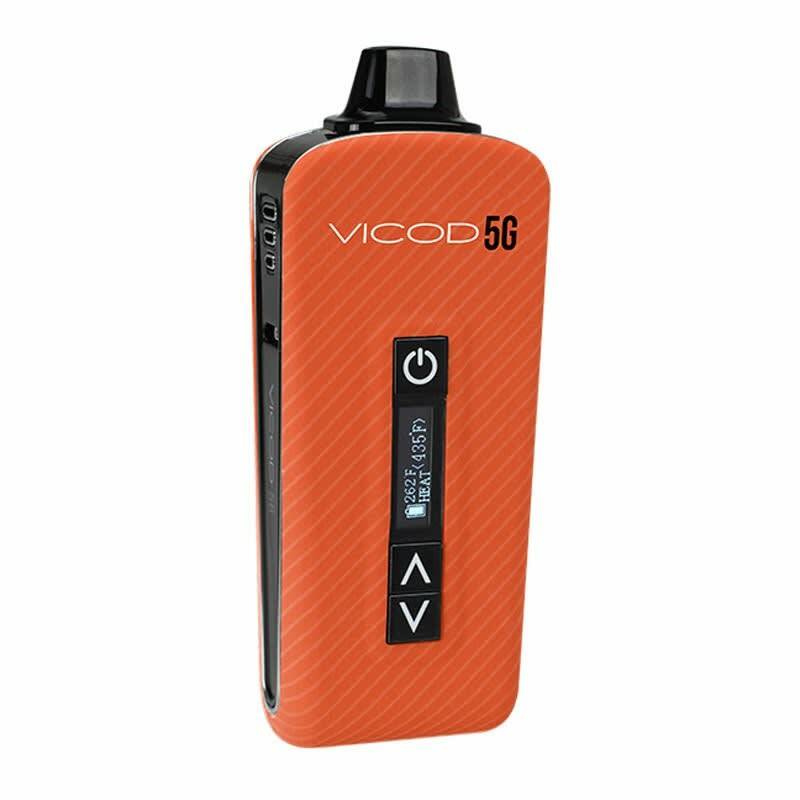 I heard great things about the Vicod 5G, so I picked one up. Overall, not bad! Vaporizes well, and the waxy cup for concentrates is a nice plus! Only thing that could be better is if it had a removable battery. Five star performance in all categories except price. 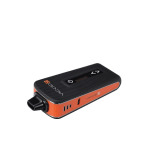 I have tried many cheap vaporizers and this one hands down is the winner. It will and does what they say with no combustion. It fits in your hand even if your hands are small it is easy to handle and very discreet . 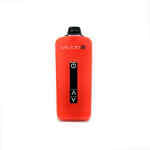 The battery life is average for a portable vaporizer. The handy display shows the remaining battery life and fully adjustable chamber temperatures. The glass mouth piece cools the vape nicely, however the glass mouthpiece must be treated with the respect glass needs. The short plastic mouthpiece works but has a higher vape temperature and may not be your thing. The unit itself is very robust and is a solid buy in this price range.